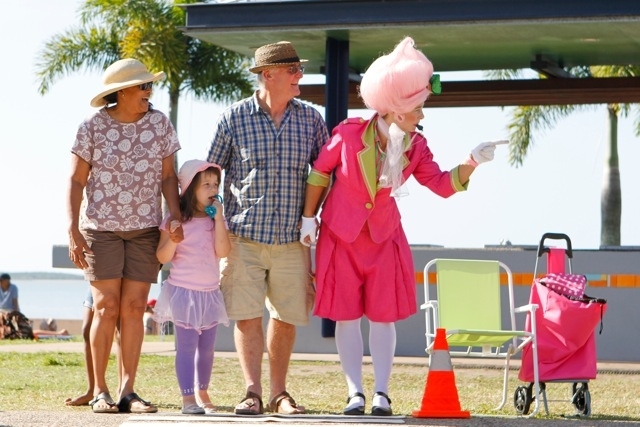 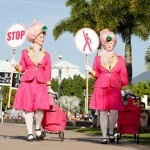 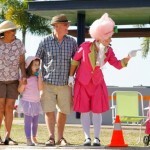 The Lollipops - roving - ""
The Lollipops are fantastic interactive and comedy roving entertainment based near Brisbane. 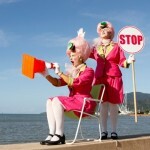 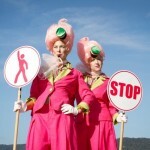 A fun interpretation of the very helpful & much loved Lollipop people who assist at road crossings. 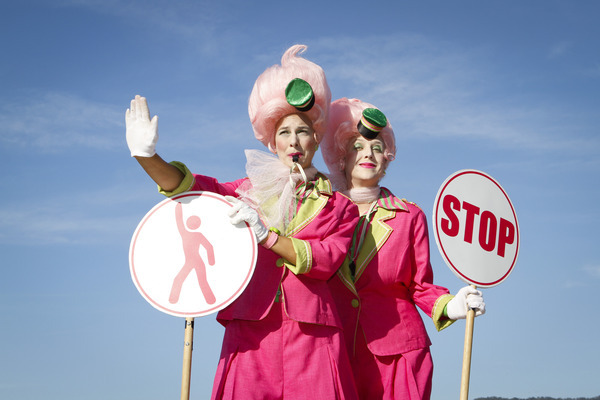 Be led across a randomly appearing zebra crossings, revolve around spontaneous roundabouts made of unsuspecting people, obey bizarre street signs or suffer undignified punishment, and make sure you don’t step on the cracks!!!! 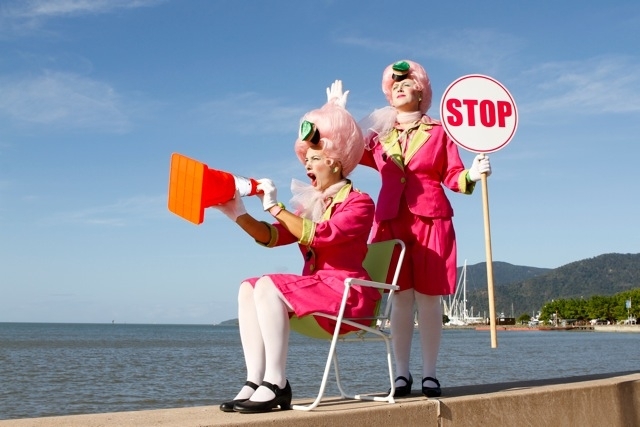 Watch the hilarious comedy unfold with you in it ….. Where were you going anyway? 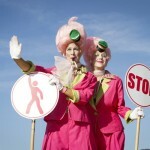 Original and fun roving characters developed by skilled performers in improvisation, comedy, circus. 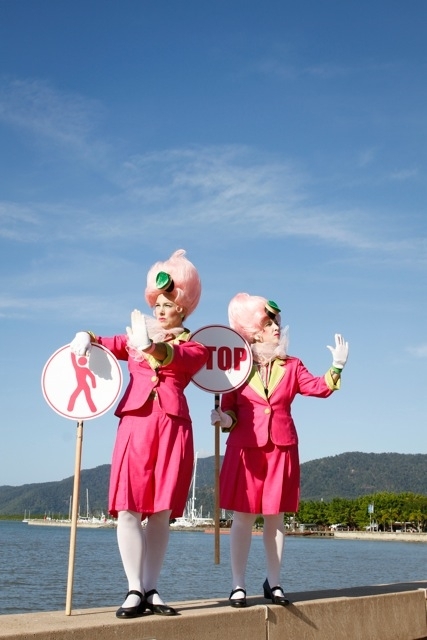 Based just south of Brisbane they tour nationally & internationally to major events of all kinds, festivals & corporate functions, ensuring all runs to plan. 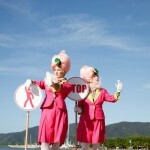 Performed by the same performers who offer The Cupcakes and The Valentines. 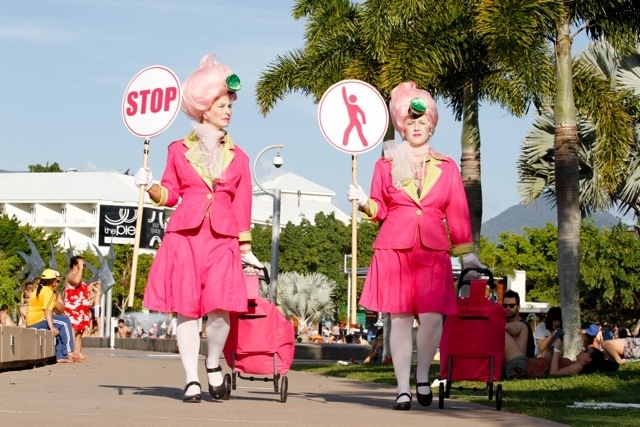 Quotes for packages with more than one acts are possible.